Audio niche automator is step-by-step video tutorial series explaining how to create an simple and easy audio product and give personality to your products. Are You Ready To REALLY Make Money In Niche Marketing? Have You Planned The New Media Revolution Into Your Current Business For Maximum Profit’s? But do any of them show you how to do it without buying thousands of dollars in unnecessary software or without hiring ghost writers for thousands of dollars? Not only is making audio products simple and easy, they are actually fun! Niche marketing is truly an amazing way to make money online. With the rapid change of the Internet, the number of internet users increasing every day, there is more opportunity to make money than ever before. But you need to stay away from the biz opp and internet marketing markets if you want to make any real, sustainable income because you’ll literally have a competitor in 24 hours. There are copy cats out there that are waiting for you to start a new “making money” related website so they can pounce on your idea. But how would you remedy a situation like this? How can you protect yourself? It’s actually quite simple, you need to create rich multimedia based courses and products in little known markets that these people will never see or hear about. That’s how you make your income under the radar and collect a hefty pay check every month. But how do you create rich, multi media based courses that not only sound professional but impress your customers? Thanks to Audio Niche Automator, you’ll be able to turn out amazingly content rich audio courses that turn the heads of your visitors, customers, and prospects in record time. Audio Niche Automator is like a well greased super machine that never needs a break or a paycheck to crank out audio product, after audio product without you even having to read anything! Enter your name and email address below and you’ll send you the top 5 hot tips on how to make money “Creating Niche Audio Products” today! What are you going to learn in this amazingly simple and powerful video course? There are literally hundreds of thousands of e-Books all over the internet now. The internet is literally flooded with garbage e-Books so it’s hard to even prove your e-Book has any value, let alone make it stand out as an incredible product! You need to create something unique and that’s where Audio Niche Automator makes your job easy as pie. Isn’t creating an audio set a complicated and expensive process that requires not only loads of money but hours of complicated work? Ohh no, it’s the complete opposite with Audio Niche Automator…. Have you ever wanted to create an audio product but just don’t think you can pull it off? You absolutely can! You’ll be popping out product after product quickly, easily and in record time. You’ll be way ahead of the crowd of people selling e-Books, newsletters, and monthly membership sites…you’ll be interacting with your customer on a personal level! Through their ears. Let’s face it, the internet is going interactive. Internet users want to go to a site and watch video and rich audio content because it’s so much more fun than boring old e-Books and text websites. Think about it, which would you rather do….read a boring e-Book or listen to a content rich audio course? That answer is simple! The Audio Niche Automator Multimedia Series will Show you how to harness all of the top secret revenue options in audio for maximum profit! Writing is a laboring task. It takes days or weeks to plan and even longer to actually write. It’s a grueling process that most people just don’t have time for. That’s where Audio Niche Automator and Private Label rights make an All Star team! 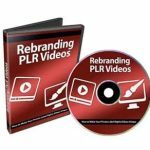 You load a Private Label or Source Code product into the software we are about to train you on and BAM, out pops a deluxe audio version of the product that you can sell for 30 times more than the e-Book….talk about easy product creation! There are many more ways to make money selling rich audio than just in website based audio form! There is a special section in the Audio Niche Automator course that exposes all of them so you know exactly how to rip the maximum amount of cash from your audio products. You won’t be left holding an audio product wondering what to do with it! You’re also going to learn top secret methods to use the audio super giant iTunes to YOUR advantage to generate traffic! iTunes is undoubtedly the number one Mp3, Podcast and Video provider on the internet. They generate millions of dollars in sales every day and are ripping through marketplace. Wouldn’t you like to get in on a piece of that? Now you can using the secret strategies in this special section of Audio Niche Automator! You’ll be generating loads of traffic that doesn’t cost you a thin dime in no time. Are you ready to jump on the bandwagon and start creating rich audio based products with a minimum investment of time? Or Are you going to let your competitors coming to the forefront of multimedia pass you by? You deserve to have a line of professional audio products making you income month after month without dozens of hours of development time! It’s your turn to cash in on the new multimedia craze and increase your income today!